The Wonderful Story of Britain: The Great Cardinal Wolsey. 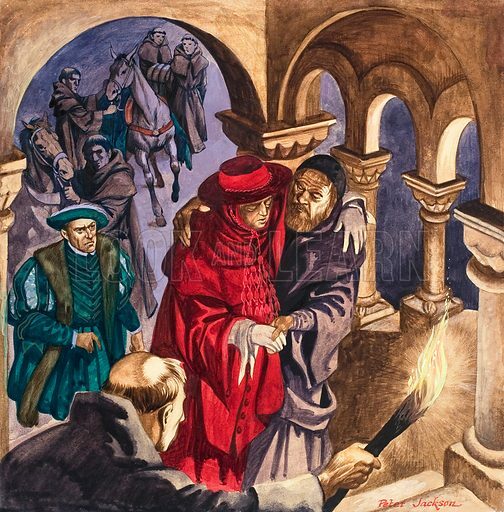 The ailing Wolsey stops at Leicester Abbey on his way to be tried for treason in London, and dies three days later. Original artwork from Treasure no. 84 (22 August 1964). Available worldwide for immediate download up to 3,970 x 4,031 pixels.